While working on the brakes I found that the inner tie rod end on the drivers side was worn. The good news is that I think this is the last one I will need to replace. 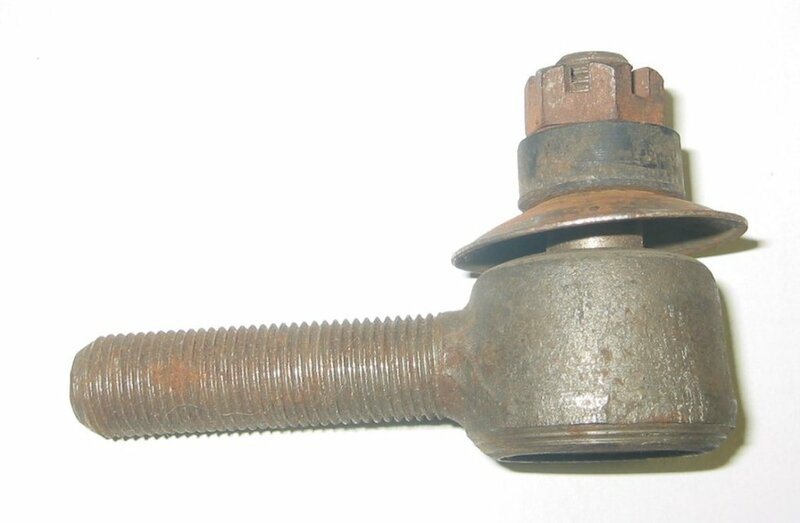 New tie rod end from Steven Allen Studebaker. A little rusty but usable. 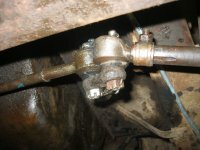 Here is the old tie rod end. I had the nut off at this point. Seriously greasy. I put my puller on it and popped the end out. Just like last time I removed the other end of the rod at the steering knuckle so I could work on the tie rod on the bench. To keep the alignment correct I measured and marked the distance from the center of the grease fitting hole so I can put the new end at the same spot. 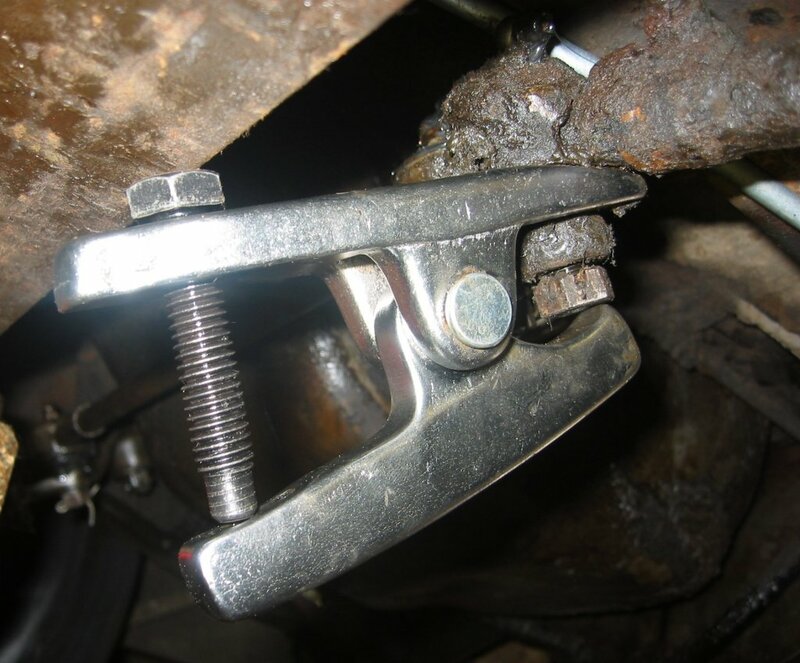 Next I removed the old tie rod end and cleaned the tie rod and clamp. After that I installed the new end until it was at the same position as the old one. 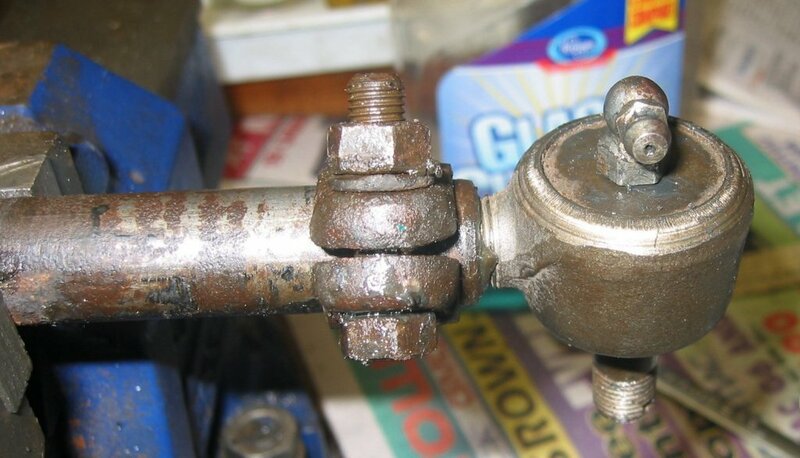 Then I tightened the clamp and installed a grease fitting and greased it up. Then I re-installed the tie rod with new cotter pins. Looks like a winner.